A study by research firm Oxford economics has predicted that 17 of the world’s 20 fastest growing cities between 2019 – 2035 will be from India, with Surat leading the pack. Other cities that are expected to register strong growth rates include Hyderabad, Bengaluru and Chennai. Indian cities have found the top spot based on GDP growth rates, though the actual aggregate GDP will be much lower in these cities compared to their western and Chinese counterparts during the same time period. The list led by Surat also features Agra, Nagpur, Tirupur, Rajkot, Tiruchirappalli and Vijayawada along with Hyderabad, Chennai and Bengaluru in the top 10. Surat is expected to flourish on the back of its lucrative diamond cutting and trading industry. The IT service sector and financial services sector is also expected to contribute significantly to the growth of the cities on the list. The list features manufacturing hubs such as Tirupur known for its textile manufacturing and export business. The Delhi-Gurugram-SNB (Shahjahanpur-Neemrana-Behror Urban Complex) Regional Rapid Transit System (RRTS) corridor got approval by the National Capital Region Transport Corporation on December 7th. The project is part of the Delhi – Gurugram – Alwar corridor and will reduce the transit time over the 106-km distance between Sarai Kale Khan and SNB complex to 70 minutes. This RRTS corridor is expected to be completed in three phases. This is one of eight corridors designed to link the National Capital Region (NCR) with eight towns; high speed rail commute forms part of the Functional Plan for Transport for NCR – 2032. The current corridor is the second of eight to have been approved. It is expected to be constructed over a period of five years with total overhead of Rs 24,975 crores. It will converge with the other planned corridors and allow commuters to travel between them without switching trains. 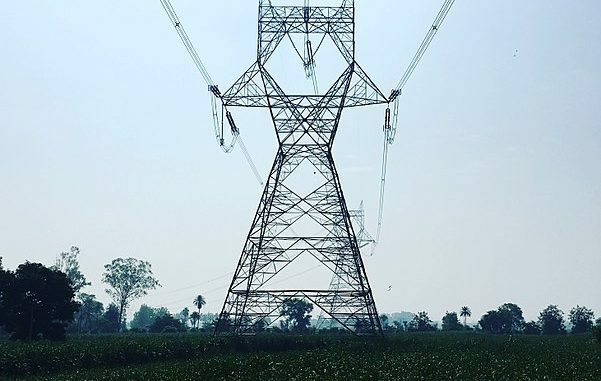 The Maharashtra Electricity Regulation Corporation (MERC) has said that the power bills generated by Adani for Mumbai for the month of October have been found to be too high. A two-member fact finding committee has now been set up to do thorough checks of the books of the company for the past few months. The action comes on the back of widespread complaints by Mumbaikars who took to social media to share concerns about unusually high power bills since the change in service provider to Adani from Reliance industries. MERC found that 1 lakh consumers, out of a total of 27 lakh who use the service, got bills that were 20% higher than average for October. Meters of these affected consumers will be inspected first. MERC is also set to monitor all bills generated for December for any such discrepancy. The fact finding committee is required to submit a detailed report on the matter in the next three months. In what is perhaps the worst pollution seen in the city over the last decade, PM2.5 levels in Kolkata have reached staggering levels this winter. The PM2.5 levels on November 5 were found to be 400 g/M3, which is has the toxicity equivalent of smoking 18 cigarettes. This is the third time the 400 mark has been breached this year. North Kolkata is most affected by the rising PM2.5 levels. High PM2.5 levels have been linked to heart disease, stroke, respiratory illnesses and lung disease. Taking cognisance of the unhealthy conditions and inadequate action by the authorities, several citizens groups have planned a meeting on December 9 to tackle the issue. The meeting will take place at Rabindra Sarobar. Groups such as Clean Air Kolkata, SwirchON, Global Shapers, LP4Y and BhoomiKa are set to attend the meeting. 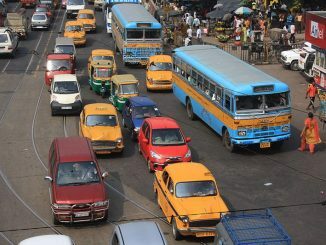 The groups are set to demand various mitigating measures such as monitoring of centers issuing PUC (pollution under control) certificates, drive against private and public polluting vehicles, a switch to cleaner fuel, phasing out of old vehicles, strict norms for construction industry and drives against burning of garbage. The North Delhi Municipal Corporation (NDMC) has proposed a hike in property taxes for the second year running in its civic budget. In a move to increase revenue and ease the debt burden that hovers around Rs 1300 crores, the NDMC proposed an increase of property taxes and a levying of professional tax and betterment tax. This marks the second year such a proposal has been made, having failed to pass muster in the house the previous year due to political opposition to the hike. The proposal moots a 1% hike for properties in category A to E, 2% in categories F to H and a 5% increase for commercial and non-residential properties and guest houses. A betterment tax of 15% is also part of the proposal and is expected to bring in Rs 450 crores for the civic body coffers if implemented. However, the plan is expected to come under fire once again by the local representatives with the upcoming Lok Sabha elections in mind. The Pune Municipal Corporation (PMC) is considering imposition of regular water cuts twice a month in order to shore up resources. With a reduction in stock of water by 20% from last year, the city is looking at various measures to deal with the shortage. PMC officials await word from the irrigation ministry on the reduction of supply from the current levels of 1350 MLD to 1150 MLD per day to residents. One possible solution to the problem is a water cut every two weeks. PMC officials have said that cuts during two Thursdays a month will be sufficient to tide over the water shortage faced by the city. A proposal for the same has been sent by the water department to all the stakeholders involved. Meanwhile, restaurants in Pune have resorted to a novel method of serving water in glasses half full as one of the measures to conserve water at a time of shortage, with 400 restaurants embracing the practice. In Delhi and other cities in the north, the homeless suffer the most as temperatures plummet while in the eastern metropolis of Kolkata, clean air remains elusive. News from these and other cities in this week’s edition of City Buzz. 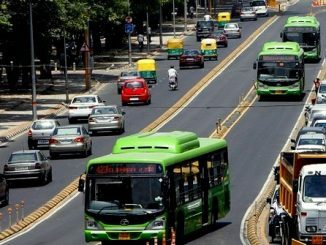 MNREGS-like scheme launched for urban youth in MP, Delhi aims to provide neighbourhood-level public transport, while Kashmiris face threats in some cities as the nation boils over in the aftermath of the terror attack in Pulwama. Catch the most important happenings across cities this week. 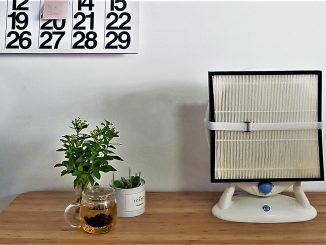 Toxic air in our cities — anywhere out of doors — is something we can rarely avoid, But if you are thinking of installing an air purifier to breathe healthy while at home, this will provide some pointers.